I soak up every episode of I Love Lucy. I've been to see her outfit display at Universal Studios in Cali and I've read multiple books and bios on her. I can't get enough of this mousy-brunette-turned-red-head. Saturday marked what would have been Lucy's 100th birthday. Lucy was known as "The Queen of Comedy" and "The First Lady of Television." She was also the first lady to be pregnant on TV. 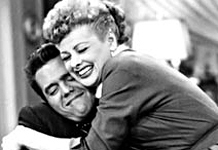 Because of the time the television series aired in, all the episodes regarding a pregnant Lucy had to be reviewed by a minister, priest and rabbi to ensure they weren't offensive to the TV audience. I Love Lucy was clever and funny. And in a day where shows like Jersey Shore and, yes, even Teen Mom 2 are entertainment chart-toppers it makes me nostalgic for a more innocent time. The show still holds the record for longest recorded laugh in television history for this episode. And in an era where television shows usually end because of slipping ratings, I Love Lucy ended it's 6th and final season as number one in the ratings. Incredible! What's your favorite TV show (new or old)? haha I love Lucy too! I used to watch reruns allllll the time growing up. I loved the google app they had where you could watch the clips of her. 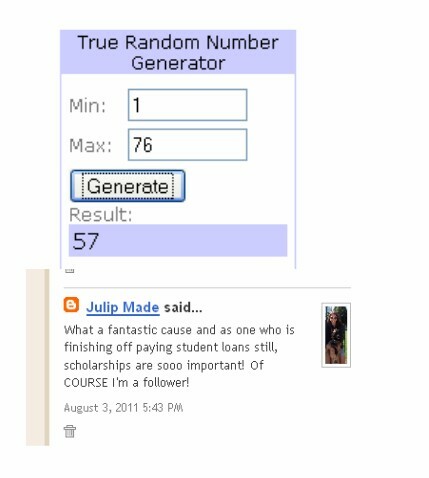 Congrats to the winner, looks like she definitely deserves it. Happy Monday, someone shoot me now. I had like 3 hours of sleep last night. Coffee .... coming right up. Definitely one of my all-time favorite shows. When other kids were watching cartoons in elementary school, I was watching I Love Lucy! i adore I Love Lucy. her shows never get old! current fave shoes include BONES and expedition explorer. i also can never get tired of the Office. hahahah i love lucy! and Ricky! i totally miss this show...i loved the banter between her and ricky...and fred and ethel..i miss it! 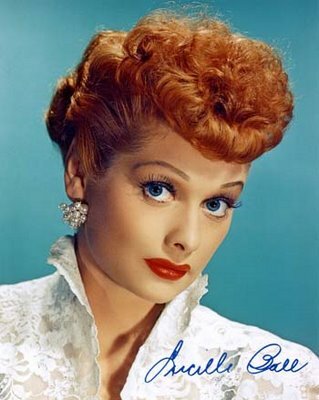 I have to agree that I too love Lucy! My all time fave episode was the one where she and Ethel worked in the chocolate factory and couldn't keep with the line and wound up eating the chocolate rather than wrapping them! I love watching anything reality, Bravo, or starts with "Real Housewives of...." :) I have to admit that I am super excited for the premiere of Bachelor Pad 2 on tonight!! Should be super spicy! Full House and Boy Meets World were two of my favorites growing up! I wish they had TGIF now like they did back then. Today, I have to admit, I am a huge reality fan. Big Brother, Survivor, Real Housewives, etc! great post. you have such spirit! Lucy was a true original. girl, we are MFEO. did you see my post from Saturday?! I grew up in the '70s and enjoyed the show she did with her teenage/young adult children. She and Carol Burnett were the bomb. im STILL hoping i won the Get to hang out with Ashley giveaway!!! wooooooo .. ps are you going to watch bachelor pad. i'd like to say no. but lets be serious. i am. 3 hour premiere tonight. DAMN YOU ABC!!!! I love Lucy! I remember watching it growing up! I wish I still could! Did you see Google on Sat? They did a tribute and had little eps clips! I love the Wine making episode and the chocolate conveyor belt ones. She's wonderful. My favorite show was West Wing but boyfriend has me watching Seinfeld and I have to admit it's pretty funny. Ahhhhh, I love Lucy!!! I used to watch this show every single night!! Innocent times for sure! Just found your blog - super cute! I love lucy, so much fun and hilarious! Definitely a new follower! I loveee Lucy! We were visiting family this weekend and somehow that is what was on the TV. Yay for winning! I'll e-mail you my contact info asap. i love lucy! she's hilarious! !